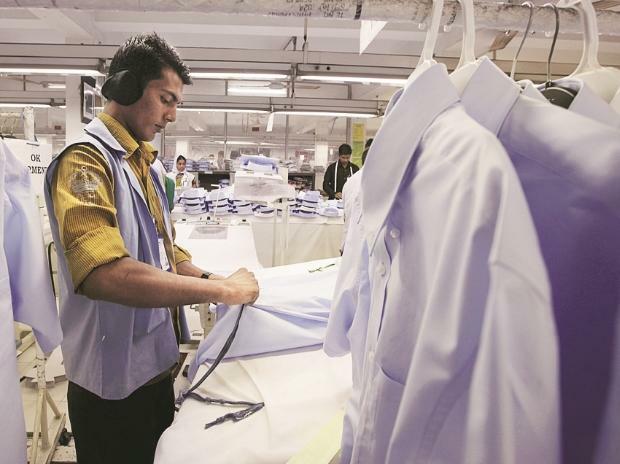 The country's apparel exports are likely to remain subdued in the near term, growing at a modest pace of 1-2 per cent for the rest of FY19, due to factors such as transition to the new taxation regime and liquidity challenges for the apparel industry, a report said Tuesday. The exports have seen a sharp de-growth of 14 per cent year-on-year in the first four months of this financial year, rating agency Icra said in its report. As this would still mean a 4 per cent annual decline in the country's apparel exports in FY19, it is expected to be the fourth consecutive weak year for exports, following the 4 per cent de-growth in FY18 and modest growth rates of 1 per cent and 3 per cent in FY16 and FY17, respectively, it said. The country's apparel exports saw an unencouraging trend, with a marginal de-growth of 1 per cent in FY18 as well as 4 month of FY19, even after adjusting for apparel exports to the UAE, which have declined inexplicably and sharply over the past one year, according to Icra. "With several internal as well as external headwinds, the past year turned out to be rather challenging for India's apparel exporters. Transition to the new taxation regime, besides posing liquidity challenges for the industry, added to uncertainties because of alternating stances on export incentives during the year," said Jayanta Roy, senior vice-president and group head, Icra. Further a stronger rupee heightened the challenges in the international market by affecting competitiveness of players in an intensely competitive international apparel market, he added. According to Icra, the country's apparel sector's performance is worrying as it is contrary to the global trends. The global apparel trade is back on the growth trajectory with an estimated growth of 4-5 per cent in the first half of CY2018 (calendar year) and 2 per cent in CY2017 in US dollar terms. The positive trend in the global apparel market is being led by the strong recovery in apparel imports by the European Union (EU), which accounts for two-fifth of the global apparel trade, it added. "Going forward, steps taken by the government to address these concerns, will remain crucial for apparel exporters to capitalise on the revived global apparel trade as well as the continuing loss of market share by China, which opens up a lucrative opportunity for key players such as India, Vietnam and Bangladesh," said Roy.